I cheated. Many of my running friends know I won the Lake To Ocean 100K this past weekend, but I don't think anyone suspected that I cheated to win. More on that later. I am elated to win another race. This one feels particularly good having won it twice in a row now and beating a couple of guys I think of as elite runners. In addition to an already solid lineup, in the weeks leading up to the race, I found out that JJ Johnson and Brad Lombardi would be toeing the line. I badly wanted to defend my win from last year, but I knew a lot of things would have to go my way with those two in the race. I came into the race with three major goals. 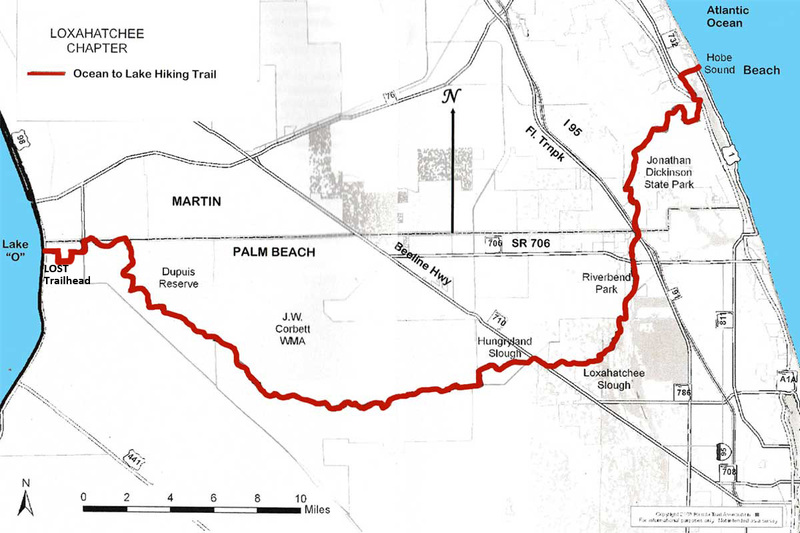 Lake to Ocean is run on the trail of the same name, from Lake Okeechobee to the Atlantic Ocean. 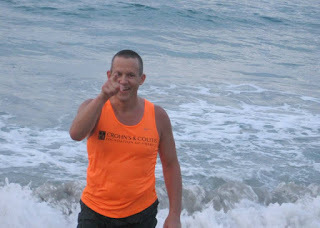 Goal One, was to jump in the Atlantic Ocean at the finish before the sunset. Last year I took a very shallow dive into the ocean knowing dusk is when sharks feed, and as I ran down the beach, saw multiple people setting up for shark fishing. This year, I wanted sunlight and to linger a bit longer in the water. Goal Two was to beat last year's time of 13:36. Goal Three was to repeat as winner. I thought that would take a time of sub 13 hours, and the least likely of my targeted achievements. The trail starts out on a couple miles of gravel road winding its way through sugar cane fields and palm tree nurseries and around a mine. Christian Stewart and I were quickly joined at the front by Brad Lombardi who peppered Christian with questions about trail markings and soon pulled away. I knew that might be the last time I might see him until the finish. We were soon joined by Tim Schaum and JJ, and the 4 of us chatted away for the next several miles as we entered Dupuis Reserve. Around mile 5, I realized I was pushing too hard too early and made a conscious decision to back off JJ & Tim who pulled ahead. Again, I knew that might be the last time I saw them. I was content to run with Christian right behind me, until around mile 8 I recognized I was still going way too fast. By mile 10 I was woozy, and started taking walk breaks far too early in the race. I spent the next few miles trudging along solo, beating myself up for going out too hard. Patience! All my life, I have been impatient, and I nearly always pay a price for it. Well I was paying for it now. My race could be over, I am not even sure I can finish. I trudged into the first aid station at mile 15 on Powerline Road despondent. Susan Anger was my crew, and the night before we had spent a solid 90 minutes talking race strategy. When she had asked about having a chair available, I said no, I rarely sat in races, I preferred to get in and out quickly. But here, I immediately dropped into the seat and started whining. Susan calmly gave me an ice towel, fed me Coke, offered solid food, and after a few minutes, had me back out on my way. 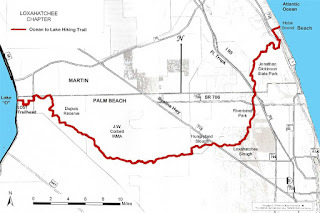 I walked the first couple minutes heading into JW Corbett Wildlife Management Area, trying to get my head together. I was in 5th place, with the leaders pulling away from me. My original 3 goals were all out the door, now I just wanted to regroup enough to finish. "Be patient" I told myself. Take what the day and your body will give you. The next 7 miles to the second aid station weren't very fast, and I took a number of walk breaks. I once again plopped down into the chair and spent several minutes bemoaning my sad state of affairs as Susan quietly got me more fluids and food, cooled me off, and sent me back out into the misery again. This second half of JW Corbett is where the race finally began to come together for me. I had run through this part of Corbett four times just a month before in Christian's eponymous 50 miler, so it was more familiar territory. My head cleared and I started pushing myself better with fewer walk breaks. I took a little time to enjoy the innumerable bromeliads and other epiphytes along what I think is the prettiest section of the race. I caught Tim around mile 25, and we leapfrogged each other a couple times before I bore down and ran steady for several miles. Just as I was getting really hot again, a sun shower came through for 10 minutes and that carried me all the way into the Corbett aid station at mile 31.3. The only place I walked was the muddy section a half mile from the end which had been under two feet of water when I ran here a month before. I told Susan, I wasn't running very fast, but I was running steady again. She told me JJ and Brad had headed out a few minutes apart about 15-20 minutes ahead of me. Christian was laying down to recover from the heat. I headed out into Hungryland Slough rejuvenated. I was now running in third place. JJ and Brad were too far ahead and running too well to catch, but if I stayed steady, I could have a "podium" finish. I remembered this section being very runnable, but last year I struggled here, first missing a turn, and then baking in the heat. 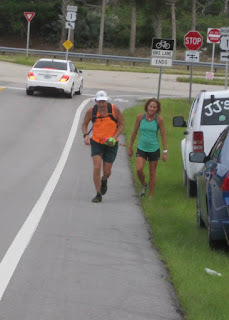 This year was much cloudier, a breeze kicked up as a thunderstorm rolled past a few miles distant, and a ran without walking a step the entire 5.5 miles to the next aid station on Beeline Highway. The race director, Jeff Stephens was standing with Susan and told me Brad looked like he was suffering a little, but that JJ looked like he was on a mission. OK, maybe I can catch Brad, and finish second overall. My spirits continued to lift. Susan was worried I was not eating any solid food other than Swedish Fish, and only getting calories from Tailwind on the trail, and Coke at the stops. I choked down a piece of watermelon to make her happy; but the vast array of other foods she presented all looked unpalatable. My stomach felt bloated and in the heat, I just couldn't bear the thought of eating. I was so excited about the thought of catching Brad, I hustled out without refilling my hat with ice. I was a few hundred yards down the Beeline Highway before I realized it and elected not to go back. Fortunately, the cloud cover held, and I did not pay too bad of a heat price. As I turned off the highway and entered the Loxahatchee Slough I realized I was running a little too fast. Patience! There were still 25 miles to go in the race, I did not need to rush. This section was 11 miles until I saw Susan again, I could not afford another stupid mistake. I pushed myself to run, but also allowed myself walk breaks when needed. This section has an almost 7 mile stretch where you feel like you are in the middle of nowhere, completely alone in the world. There are many stretches like this on the Lake To Ocean Trail, but I took particular notice of it here. It is wonderful solitude, and I felt really good as I came around a corner and saw Brad on a straightaway ahead of me. I backed down the pace, took a walk break, and gathered myself before attempting to pass him. Brad is super competitive, and I was prepared for a dogfight once he saw me. But he must not have felt well at all as I was by and away from him quickly. I knew late in this section, the trail paralleled a canal for a stretch, and if I was even 10-15 minutes behind JJ, I would see him ahead of me here. It was a jolt to see the canal path empty as far as I could see. OK, second place it is. But something kept me running steady through here and all the way through Riverbend Park until I crossed under Indiantown Road. I missed the quick left in the fence, and lost several minutes re-reading Jeff's instructions and backtracking to the trail. Susan was at the gate with the chair, a table, food and drink, and just about everything else I could possibly want. She asked me what I needed, and I told her I needed to know how far ahead of me JJ was. I needed confirmation he was 20-30 minutes ahead, and I could just trudge in from here. She said, "He just left here two minutes ago." Me: "You are shitting me?" Susan, "No, he just left, and he is walking" Crap. Now I have to run. For the first time all day, I passed up the proffered chair and asked Susan for extra salt pills before I bolted. 16 miles to go and it was Game On. Catching and passing JJ was actually a little anti-climatic. He saw me coming, and we walked and chatted together for several minutes. He said his legs were shot and he would be walking most of the rest of the way in. Once again, I forced myself to be patient and gather myself before running steady again. When I did, I made steady, relentless progress through Jonathon Dickinson State Park. At mile 52, I forded thigh deep water at Hobe Grove Canal and had wet feet for the first time all day. I know Jeff was disappointed in the lack of rain this year, but I enjoyed running most of the day with dry socks and without 10 ounces of mud and silt inside. I missed making a right turn while fiddling with my salt pills and came to a 4 way intersection where I could not find an orange blaze anywhere. I ran down each of the three options a hundred yards or so without seeing a trail marking. I started to get really angry. How could they not mark the trail better? Then I remember it again, patience. Stop and think. I looked back at the way I had entered the intersection and there were no marking there either. Oh. The mistake wasn't at this intersection, I had gotten off trail before ever arriving here. I quickly backtracked until I saw orange blazes in the distance and was soon back on track. I was a bit panicked that JJ may have made up too much ground; but in the end, this 5-6 minute mistake just cost me a new course record. From there, I made way through the "Sand Dunes of Misery". It is a series of 50-100 yard climbs and descents in deep sugar sand. it is pure torture after having already run 59 miles in heat and brutality. If I know Jeff Stephens, he would have re-routed the course through here even if the trail took a different path; he is a bit sadistic. I was really suffering as I approached US 1; but soon got a lift as I approached the final aid station. One guy (Adam?) had called Sandra at my behest at the previous aid station to give her an update. Now he relayed to me that she said "Second place is not acceptable for the defending champ". That gave me a good laugh, she knows how to tweak me better than anyone. I got a lot of cheers and support from the decent sized crowd at the road crossing. 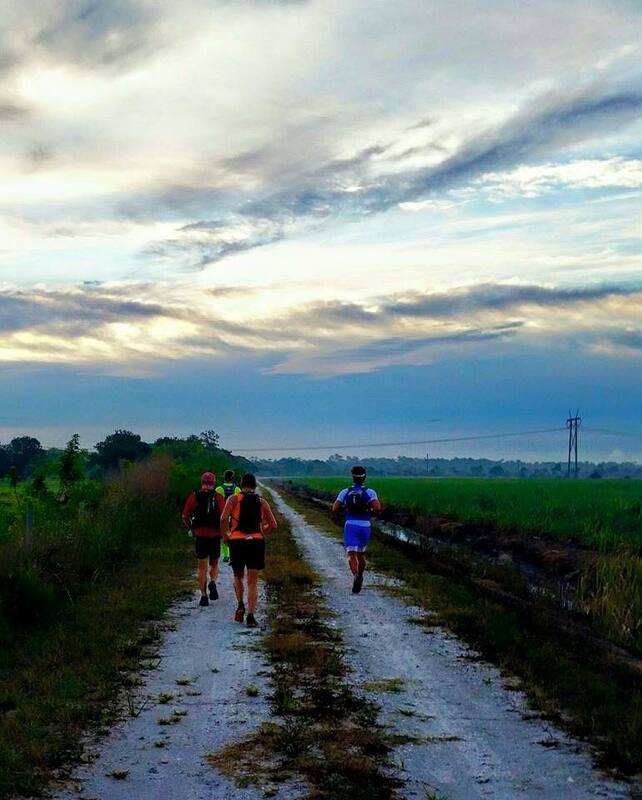 In 2014, the runners were a lot more stretched out, and the final stops were ghost towns. This year, the top 6 runners were within an hour of each other, and we had a nice crowd of crew members. The last aid station with 2.5 miles to go was no different than the first, or any of the ones in between. Susan was waiting with exactly what I needed. She wanted me to grab the hand-held filled with ice water and truck on down the road and get her a new course record. But I told her I didn't have it (I would have had to run 8 minute miles, those were not left in my legs). One more cup of Coke and off I went. I passed Dawn Lisenby on the way out who told me to enjoy every step to the finish. And I did. 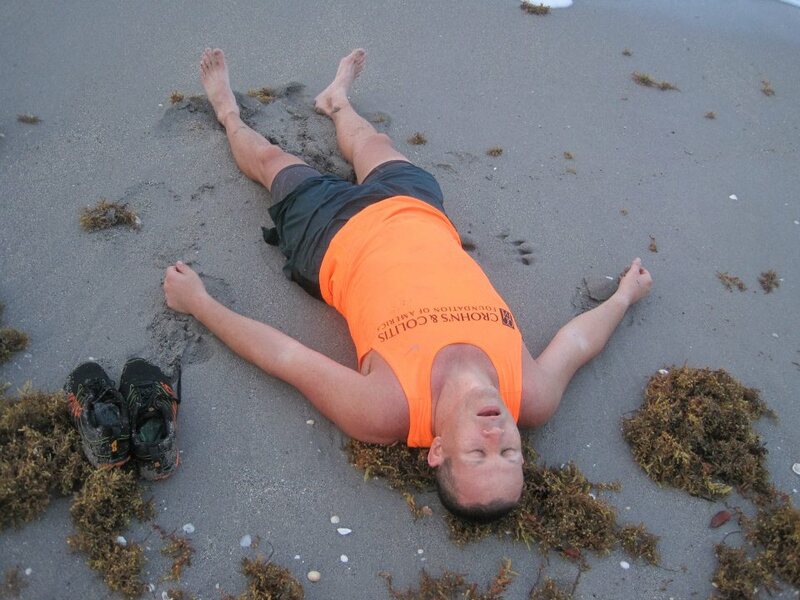 Finishing an ultra is an amazingly empowering feeling. If I can do this, I can do anything. Winning an ultra just puts me on Cloud Nine. I dropped my hat, watch and bottle as I passed the pavilion and sprinted down the sand and into the Atlantic with everything I had left. 13:41. First place overall. Goal One, jump in the Atlantic before sunset? Check. Jeff helped here more than a little by moving the start time up 45 minutes from last year. Goal Two, Beat my time from last year? Missed it by 5 minutes, losing almost 10 to two wrong turns. I ran the first 31.3 miles in 6:40, a 12:47 pace. I ran the last 32.4 miles in 7:01, a 13:00 pace. Almost an even split. I can live with missing the time goal. Goal 3, Two Time Defending Champion? Check. And that is going to feel really good for a long while. Now for the hard part to admit to everyone, I cheated. I ran Angry. I don't mean I was mad all day (although I got plenty mad with myself on several occasions). I mean I ran with Susan Anger as my crew. I believe we all line up at the start line of an ultra with an optimal time in the works. Some combination of our athletic skill, training and preparation (mental and physical), health, race day weather, etc. define the absolute best time we can achieve that day. The goal of the runner on race day is to execute the race as well as possible and minimize the degradation against that optimal time. Every trip and fall, every wrong turn, every mental lapse causes us to lose time against that optimal result. In a self-supported race like this one, your crew can have a huge impact on that outcome. Choosing the right crew for yourself and your personality is critical. Getting the right food, right fluids, right care, right coaching; each and every time through an aid station makes all the difference in the world. I lost no time in this race due to Susan; any and all errors were mine. It almost feels like cheating having her in my corner. Without her, I don't win. Pending an invitation from Mr. Stephens, I plan on diving into the Atlantic in 2016 while running Angry.